Botswana is booming: on average, the Southern African nation has one of the highest economic growth rates in the world and is known as one of the safest and most stable African countries to visit. 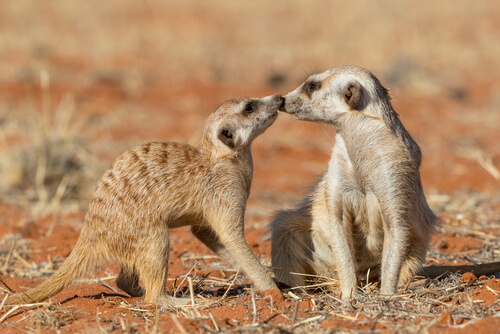 Botswana’s flat, expansive terrain ranges from the sparse brush of the Kalahari Desert – which makes up a large part of the landscape – to the stark beauty of the Makgadikgadi Pan salt flats. There’s plenty to do and see, but as with any adventure, it’s always best to be prepared. 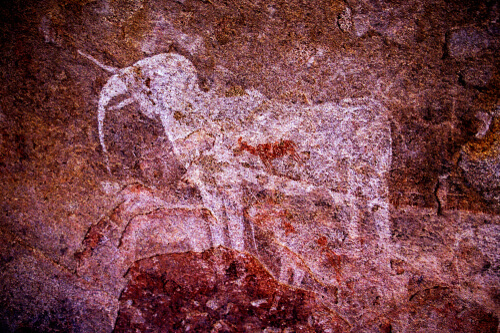 Firstly, Botswana is a prefix-centric culture – Botswana means “land of the Tswana.” As Tswana refers to the majority ethnic group in the country, its people are thus described as Motswana (one person) or Batswana (multiple people). However, the broad term “Botswanans” is also widely accepted. Expect a mostly-dry climate, as Botswana usually experiences widespread drought. Its main source of water comes from the mighty Okavango River, the lifeblood of many farmers and cattle herders across the country. Quite appropriately, is currency, the pula, is also the word for rain, which is a precious commodity in this striking, but challenging landscape. 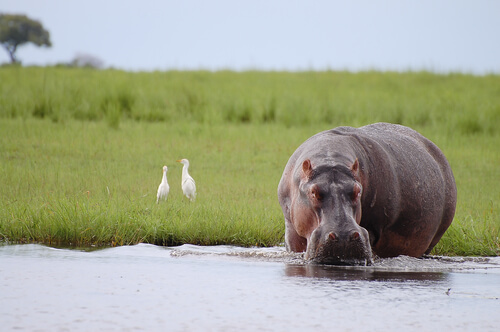 Some major sights and activities include camping, the Chobe National Park and the Kalahari Game Reserve, birdwatching, rock art tours in the World Heritage site Tsodilo Hills, and aerial tours and tiger fishing along the Okavango. Tigerfish are lean, mean, toothy biting machines, known to explode out of the water with great energy. Don’t worry – most, if not all Botswanan fishing operations, abide by a strict catch-and-release policy. Botswana also boasts the biggest elephant population in Africa, magical opportunities for skydiving, and last but not least, the classic safari experience. Diamonds are also a big part of Botswana’s industry, although the government is trying to phase out economic reliance on the diamond trade. One of the best times to visit Botswana is around April and May, as this marks the beginning of seasonal migration and calving season for many animals. May to August tends to be quite dry which means more opportunities to see animals at watering holes. 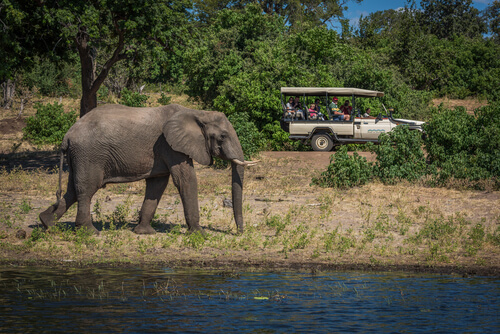 Botswana has maintained much of its natural beauty for a combination of reasons: it is one of the most sparsely populated countries in the world (considering its size), and the country also operates on a low-volume, low-impact tourism model that necessitates higher prices for visitors. About 40% of the country is made up of nature and wildlife reservations. Despite its reputation as a luxury destination, it is possible to visit Botswana on a low budget, especially if you’re comfortable camping and driving a 4x4 (don’t forget to budget for fuel, food, and water). However, the roads aren’t always great and rural infrastructure is limited. Most locals flag down Combis, which are shared vans concentrated around cities and towns. Most tourists take taxis since many tourist destinations don’t fall along common Combi routes – visitors can also call for a taxi, book one through a hotel or airport, or wait at a taxi stand. As previously mentioned, it’s also possible to rent your own 4x4, although this is usually recommended for experienced campers and off-road drivers. Driving through crossroad towns such as Maun will also involve navigating around various animals on the road: cows, donkeys, and dogs can make for difficult driving. Cotton and quick-dry materials are your friends in Botswana, as well as a versatile balaclava or buff that can cover the nose and mouth from dust and keep your head warm at night. It does get cold in the early morning, so bring a fleece or good waterproof jacket – roofless safari jeeps can get brisk at high speeds. Bring sensible walking shoes with good ankle support. On safari, try and stick to neutral colours. Don’t forget sunblock, bug repellent, and any medication you might require (especially allergy meds and antihistamines). If you’re going on a river safari, waterproof plastic bags will come in handy for your valuables, especially cameras, phones, and iPads. If your trip involves taking a small charter plane, which is quite common, we recommend using a duffel or soft suitcase and stay well below the luggage weight limit (20kg) to avoid sacrificing your belongings along the way. If you’re not sure of your charter plane’s requirements, ask ahead of time. Lastly, get a pair of binoculars! It is crucial to plan ahead for safaris, as they tend to book up quite quickly. Reservations for park trips can be made through the Botswana Department of Wildlife and National Parks, which also runs several campsites. Keep in mind that some campsites are independently run, so check ahead, or do your planning in the town of Maun. It’s pretty easy to prep ahead and download a wildlife and bird guide app to help identify animals on your trip. Print out booking reservations on paper as backups. We do not advise planning camping and safari trips once you’re already there. Botswana is a stunning place for adventure-seeking nature lovers, but also offers relaxing alternatives for low-key travellers who would rather drink up the view with a cocktail by the river. Even though most places in Botswana take credit cards, withdraw cash ahead of time especially when travelling to rural areas — ATMs aren’t always reliable. As always, keep an eye on your belongings in crowded areas, and be wary of walking or making vehicle stops at night even in the wilderness where nocturnal wildlife can be overly curious (and in some cases, overly hungry). 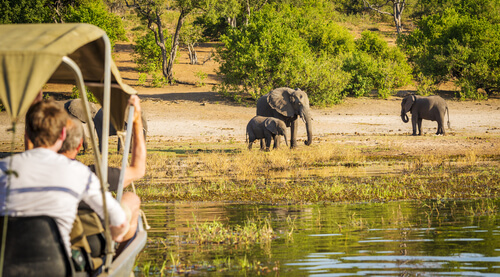 While you may have to spend a little more, Botswana has one of the most responsible tourist policies in the world so you’re contributing to preservation practices that help maintain a delicate ecosystem, home to a variety of flora and fauna.